A rendering of the Building One in Anclote River Crossing from David Weekley Homes. Tampa, FL (November 17, 2016):David Weekley Homes, the nation’s largest privately-held builder, will break ground on Anclote River Crossing, the newest Tarpon Springs townhome project, located adjacent to the waterfront and Tarpon Springs Historical District. Anclote River Crossing will include three-story townhomes with views of the Anclote River, a private lake with fountain or the professionally-landscaped community pool and bathhouse. Homesites situated on the Anclote River will offer a private dock with Gulf access. This waterfront community will feature two buildings with five units that have two floor plans with approximately 2,200 square feet of living space. Private Gulf of Mexico access is just the beginning of amenities within this townhome community. Anclote River Crossing also offers a community pool and bathhouse. Homeowners will enjoy the proximity to shopping, dining and entertainment at The Sponge Docks and walking, jogging or biking on the Fred Marquis Pinellas Trail. 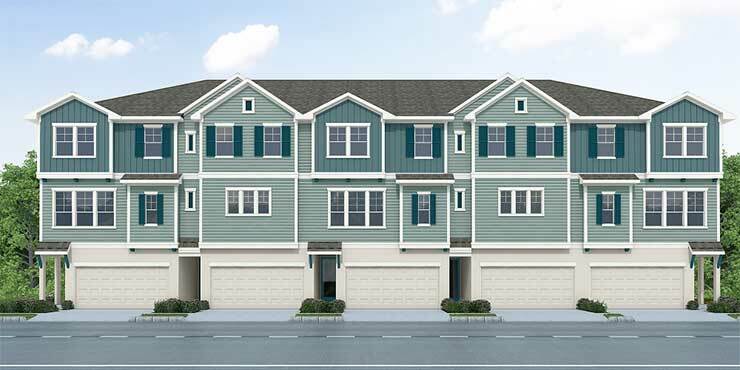 For more information about David Weekley Homes in Anclote River Crossing, or to join the VIP list, call 866-493-3553.